List Rules Vote up the most adorable couples who found love through geekery. Who doesn’t love seeing adorable geeky couples walking through the halls of various convention centers, cosplayed Mistys holding hands with Squirtles? It’s just the best, and if it doesn't melt your heart you're an actual monster. Couples who met through geeky hobbies they both enjoy are probably the happiest of all. If your relationship can survive the Hellfire Citadel raid, you can make it through anything. But of course, nerds don’t meet exclusively in Azeroth. There are countless ways to find geek-love: Magic tournaments, LARPing, kite fights, you name it! And then there’s the fact nerds tend to stick together and look out for one another (to better ward off bullies, you see), so if they have a matchmaker in their hand, they’ll play it with reckless abandon. Nerd-love is real and it is truly magical. What is nerdom, after all, if not a mentality defined by extreme passion? That passion doesn’t end at the joystick, though, that’s where it begins. These are some of the best stories of nerds finding love. 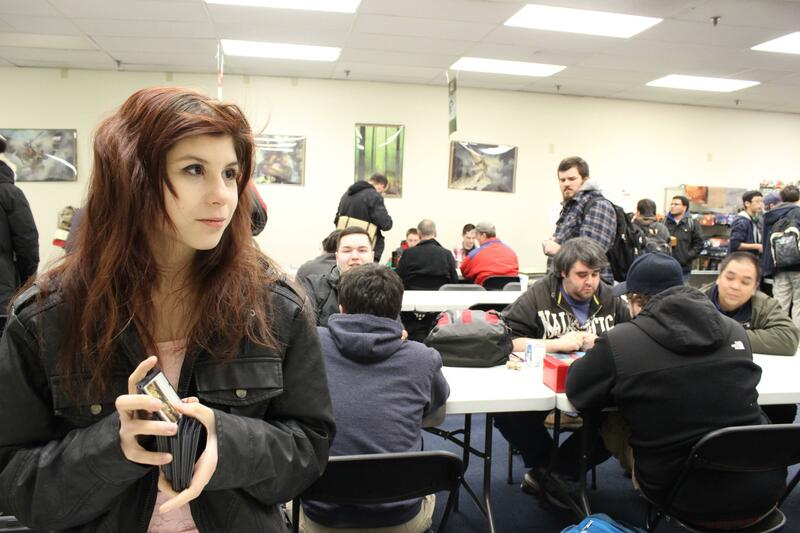 The flawlessly named Reddit user chalupacabrariley met her boyfriend at a Magic the Gathering... gathering. She tried to convince her boyfriend at the time to attend the game night with her, but he wasn't interested. Bad move, buddy. She met a guy there whilst walking among the planes, and he later added her on Facebook. They stayed in contact, and finally, two years after that magical night, they became a couple. Andurus and Branwen met in A Realm Reborn. When Paul Turner's Final Fantasy avatar Andurus and Vicky Teather's Branwen bumped into each other in the MMORPG, sparks flew, and no one had even cast fira. Paul and Vicky were actually both in long term relationships – Vicky was even living with her partner – but as they spent hours together online every night, they began to feel a connection. When Paul first put Andurus in harms way to protect Branwen, Vicky knew there was real love here. And they say chivalry is dead. Unfortunately, Paul got a new job and had to leave the game for a few months. It was then Vicky realized just how much she missed him, so she sent him an IM professing her love. Paul apparently felt it too, so they met IRL, and it was love at first sight. The two are now happily married. No news on what happened to their scorned lovers. The Robot's Voice user Fumbles was Netlfix and chilling with a friend in a very platonic way. That is, until she asked the magical question: "Do you mind if I turn on Star Trek: The Animated Series?" They were bored and looking to kill some time, but one thing led to another, and.... they binged the entire season. The couple that binges together stays together. Now, the two are engaged. Sounds like he didn't fumble that exchange. "I met my now wife through WoW. November 2007 is when we first met in game. She wanted to join my guild, and for some reason (I am not sure why) I told her that she couldn't join my guild until she was level 30. She would message me every time she leveled up, and she begged me to invite her to the guild when she was level 29 1/2. I let her in, and since then we've been inseparable. I lived in DC, and she lived in OK. She came out and moved in with me in April 2008 and we lived together in DC until October 2008 where I quit my job and cashed out my 401k and moved everything to OK. We've been living together in OK since then, and now have 3 kids. Married and bought a house together in May 2013."